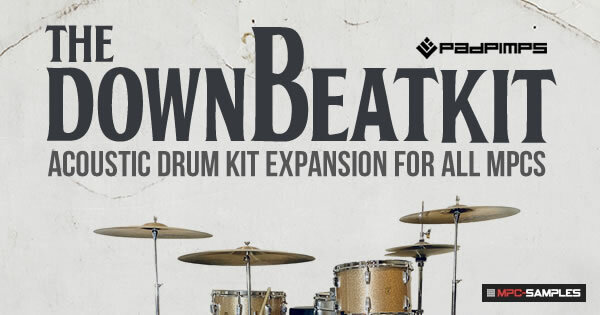 The Downbeat Kit is the latest acoustic drum kit expansion from Pad Pimps featuring a stunning and incredibly versatile 1963 Ludwig Downbeat Kit, with 24 unique drum articulations all recorded over multiple dynamic variations and mapped out in a finger drumming friendly layout across the MPC pads. The expansion features multiple mic mixdowns and sound patches giving a wide range of kit sounds to create your own realistic sounding acoustic drum tracks and breaks. The MPC Expansion edition contains a 'standalone' installer (MPC X, MPC Live & the new Akai Force) as well as an XPN installer for the MPC Software (MPC Renaissance, MPC Studio, MPC Touch). Legacy MPCs are also fully supported! Download The Downbeat Kit Now! I thought the corx were always stuck to the bottom of the pads and never on the pad sensor itself?